How do I deflate my Lay-Z-Spa? In order to deflate your spa, drain the spa of any water then fully unscrew the inflation valve and completely remove. This will cause the spa to start to deflate. Once the spa has deflated, you can carefully fold the spa, to remove the final bits of air. I can't get the cushion to stay in the bottom of the spa! 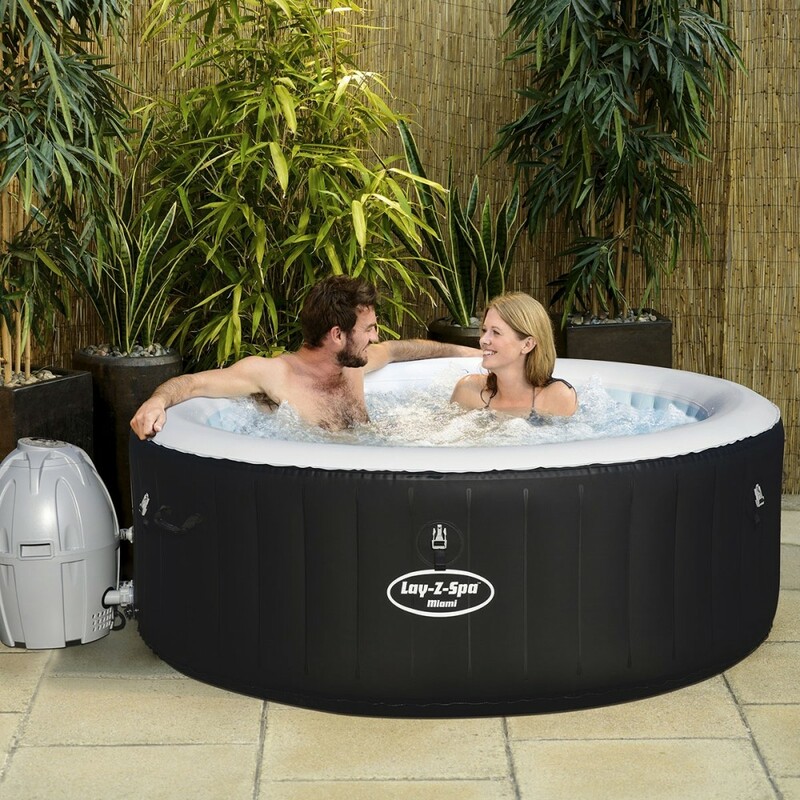 The spas do not come with a separate inflatable cushion, as they have a cushioned base. 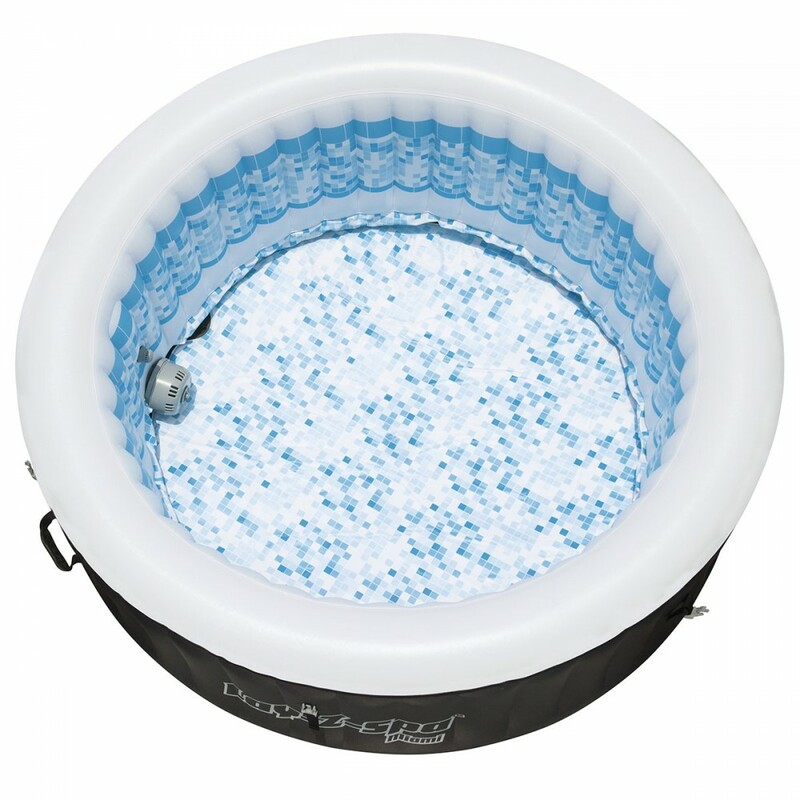 The circular inflatable part supplied is a lid to help insulate the spa and should be placed inside the top cover. Can I leave the pump out in the rain? Although the spa pumps are waterproof, if you are expecting very heavy rain we would recommend the pump unit is detached from the spa (use the stopper caps, to allow you to do this without losing the water) and bring inside. The time taken to heat the spa will vary between the different spas and will be effected by the ambient air temperature. The pump units heat the water by approx. 1ºC - 1.5ºC an hour. To heat the water from cold can take 24-48 hours. All of our spas come with a standard warranty period, so that you have the peace of mind that in the unlikely event that you were to experience a problem we are here to help you. Does the pump unit filter the water? The Lay-Z-Spa pump unit filters the water via a replaceable filter. When the heater is turned on the filter will also be active, but you can activate the filter without the heater. Why is the temperature dropping when I am using the bubbles? The air from the Lay-Z-Spa Massage system bubbles will cool the water down. When then Lay-Z-Massage system is in use this will also deactivate the heater. Can I use the bubble function and heat function at the same time? The heater function and bubble function cannot be used at the same time. How do I inflate the inflatable lid? The inflatable lid can be inflated using the spa pump and the inflation hose. Attach the inflation hose to the 'C' connection on the pump, insert into the inflation valve and press the bubble function on the pump unit. How do I know when the spa is properly inflated? On the Monaco and Palm Springs spa a pressure gauge is provided, these should be inflated to between 7-10psi. The Vegas and the Miami should be inflated until touch soft. What happens if my Lay-Z-Spa suffers a puncture? To help locate punctures we recommend using washing up liquid diluted in water, by wetting the spa liner surface escaping air should produce some visible bubbles. Ensure that the surface to be repaired is cleaned and completely dry before applying the repair patch. Please wait at least 30 minutes from applying the patch before re-inflating to allow the adhesive to dry. The fast set pools need to be set up on level ground. The filter pump should not be used when the pool is in use. To set up, inflate the top ring, and fill with water.